The Partisans, with limited assistance from the British and Soviets, developed into a formidable force capable of conducting both guerrilla and more conventional operations. Following World War II, the Communist Party consolidated its control of the country and Yugoslavia aligned with the Soviet Union. However, Tito soon fell out of favor with Stalin, and in 1948 Yugoslavia was expelled from Cominform. Seeking to re-establish their base of legitimacy, Yugoslav Communists returned to Marx and Lenin and formulated their own interpretation of socialism, allowing them to present themselves — rather than Stalin — as the true torchbearers of the revolution. Their conclusions are illustrated by the ideology of “Workers’ Self-Management,” which essentially dictated that where the Soviets centralized, the Yugoslavs decentralized, and where the Soviets focused power to the state on behalf of the workers, the Yugoslavs would distribute it from the state to the workers. Although the two states formally reconciled in 1955, Yugoslav policymakers would spend the rest of the Cold War fearing a Soviet assault because of their ideological heresy – especially after the 1968 invasion of Czechoslovakia by Warsaw Pact troops. Furthermore, despite periods of relatively cordial relations, for the majority of the Cold War Yugoslavia viewed NATO with caution and hostility, and Tito could often be heard denouncing the imperialism of the United States and its allies. Geographically situated between a NATO rock and a Soviet hard place, the prospect of invasion would permanently dominate Yugoslav military planning. These three factors — the legacy of the Partisans, ideological considerations and invasion — would define Yugoslavia’s defense policy until the state began to collapse in 1991. Following the invasion of Czechoslovakia, military training — including some weapons instruction — began in school, and Yugoslavia built up a significant pool of reservists. By 1978 it was estimated that approximately 1.5 million men could be mobilized in 48 hours. The ultimate target was to have three million trained and armed reservists, which when coupled with the operational army and other civil defense organizations, would total five million people – 25 percent of the population. 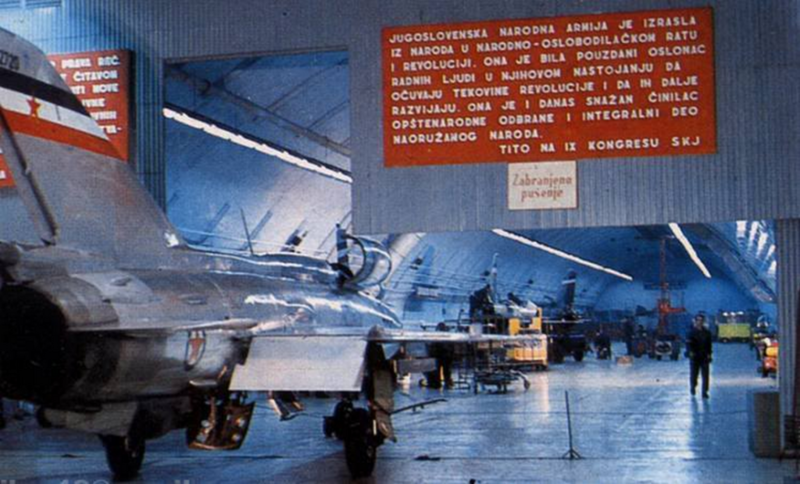 With no reliable means of acquiring arms from abroad, Yugoslavia developed a significant industrial military base itself. It produced a range of domestically designed weapons and license-built aircraft and armor, with the costs of development and production largely being offset through exports to its friends in the Non-Aligned Movement, such as India. Bosnia was the center for Yugoslav arms production due to its defensible location in the heart of the country, and housed more than 60 percent of the total capacity. These industrial compounds would become key strategic objectives in the later conflict in Bosnia, and some argue that they facilitated the intensity of the fighting there. During World War II the mountains of Bosnia and Montenegro had allowed the Partisans to conduct their operations in relative safety. In preparation for another invasion, Yugoslav military leaders cached supplies of weapons, ammunition, and explosives across the country, but particularly in the mountain fastnesses of Bosnia. Furthermore, to facilitate the rapid mobilization of reserve troops, many reservists stored their weapons in their homes. Initially the structure of the Yugoslav military was conventional, with a standing army operating under a central command. However, in order to align defense policy with ideology — and to redirect some costs from the federal budget — a series of comprehensive defense reforms were made. In addition to the federal army, each of Yugoslavia’s six constituent Republics — Slovenia, Croatia, Bosnia-Herzegovina, Serbia, Montenegro and Macedonia — established its own “territorial defense” force. Rather than supplementing the existing army, these forces were constitutionally defined as being co-equal to the conventional army. The territorial defense forces were financed, maintained and commanded by their respective republics, undermining the federal army’s monopoly on the legitimate use of force. 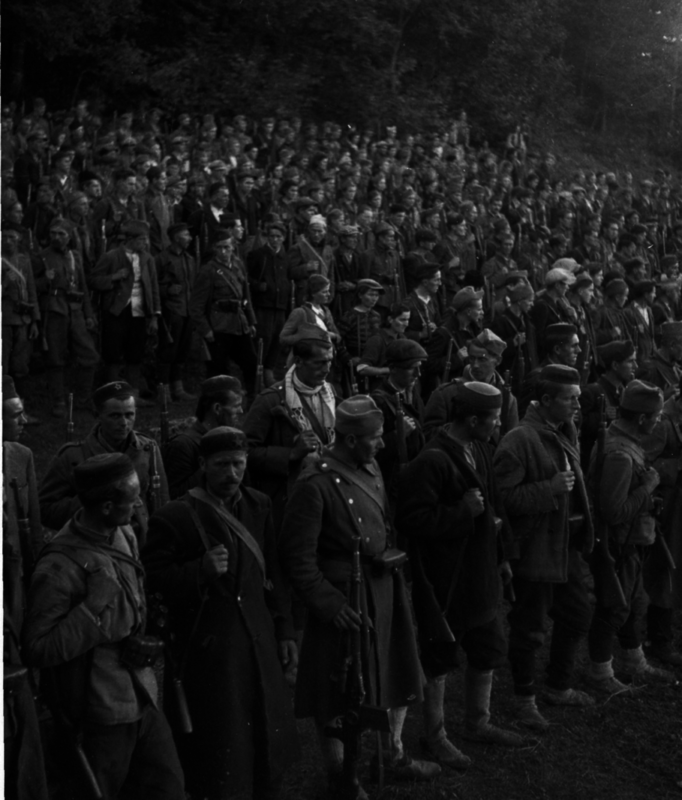 Yugoslav military doctrine focused on combining its large army with the guerrilla experience of the Partisans. In planning, this entailed the conventional army meeting an invasion head-on, buying time for reserves and the general population to mobilize. The integration of civilians into military doctrine was even formalized in a law which stated that in modern war there were no boundaries between the people and the army, and the territorial defense forces, which were composed of reserve units ranging from small platoons of villagers to more mobile battalions of factory workers, reflected this. Furthermore, civil servants and other officials were expected to resist an invader, and it was later written into the constitution that “no one has the right to recognize or sign the capitulation of the country or the capitulation of the armed forces.” In short, everyone was a combatant and there would be no surrender. Yugoslavia began to collapse in 1991, and in the following few years four of its six republics would secede. Only Macedonia, however, would be spared violence as it transitioned to independence. Yugoslav defense policy shaped a highly militarized society in which almost all men had received at least some military training and had access to weapons, creating a huge pool of potential soldiers, many of whom would ultimately fight their former comrades. Furthermore, researchers have suggested that it was the intimate knowledge of partisan warfare that led to the employment of the drastic counterinsurgency measures that are now synonymous with the break-up of Yugoslavia — ethnic cleansing and concentration camps — although clearly an ideological motive was present as well. In addition, people had been encouraged to mobilize, deploy on their own initiative and “inflict losses wherever possible.” This made it almost impossible for effective command and control to be enforced — an issue which has since been highlighted in many of the trials in The Hague. The establishment of separate armies and the decentralization of command created ready-made armed forces which were turned against each other when political negotiations faltered, whilst the incorporation of civilians into military doctrine would inform the approach many leaders took with them into the conflicts that followed. Yugoslav defense policy was successful in deterring an attack, but it also created the conditions for political disputes to escalate into armed conflict, formed armies which would fight each other, and unknowingly endorsed tactics and strategies that would cause untold suffering among its own people.